The Jones H700 low profile chain operated Cassette System remains one of our most popular products and offers full compliancy with the latest Child Safety Standards. 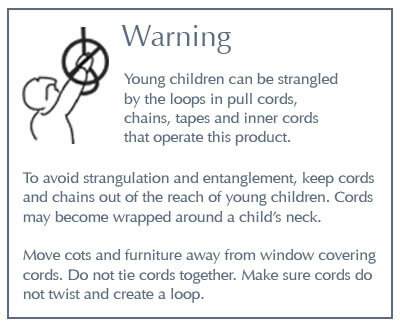 Our made to measure systems already include our new sew on child safety toggles and we will soon have these included in our boxed kits! Our alternative clip on toggle simply clips to the pockets of your Roman Blind tapes and will be available early 2015. 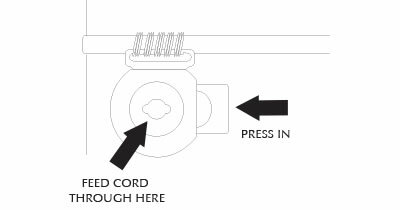 These and the chain “hold down devices” (also included) are the only adaptations you will have to make in order to remain compliant whilst maintaining the advantage of easy cord adjustment for final “fine tuning”. These systems have all been fully tested for operational compliancy and UV resistance to BS EN13120:2009+A1:2001. Other detail changes include the imminent introduction of a standard 1:2 control unit for easier and smoother operation on all blinds up to 3.50 kg in weight. Our geared 1:4 unit remains as standard fit on all systems from 180cm and above for blinds up to 8.00kg max. Our made to measure service continues to attract even greater demands with the choices of sizes, control unit, chains and even bracket types all included in the price. Each system is individually labelled with the required specifications and your own reference for ease of recognition once you open your delivery. Please allow up to three days for this service to avoid disappointment. Why not slide into something more convenient? Jones safety toggles for ease of use and peace of mind. No other devices required. Sew on or Clip on – the choice is yours! Fully compliant with BS EN13120:2009+A1:2001.